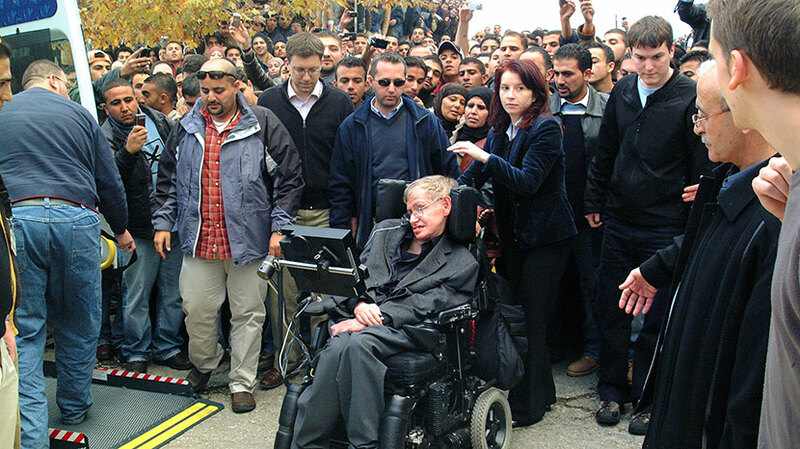 International physicist Stephen Hawking saluted Birzeit University and the Arab- American University of Jenin on his official Facebook page for their vibrant and prominent role in the first ever Palestinian Advanced Physics School. In close collaboration with academics at the Arab- American University in Jenin, Birzeit University and Scientists for Palestine (S4P) a group of international scientists who aim to promote science in Palestine, the Palestinian Advanced Physics School (PAPS) took place, funded by The European Organization for Nuclear Research (CERN) and the Sharing Knowledge Foundation (SKF), and hosted by the Arab- American University. 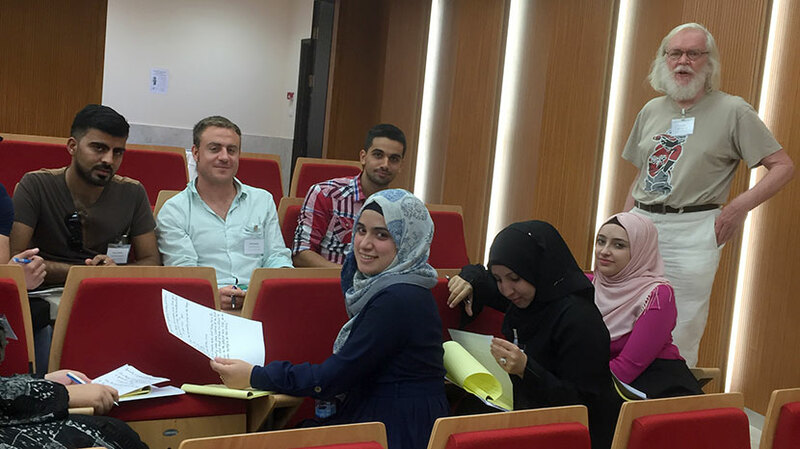 At the school, advanced master students in physics from several Palestinian universities in the West Bank listened to lectures and engaged in scientific researches. The school aims to provide master level students with an overview of exciting recent developments in modern physics that would normally not be part of the regular curriculum at their home universities. Unfortunately, students from Gaza could not participate due to restrictions on movement imposed by Israeli Siege. The school is organized by physicists from the universities of Amsterdam, AAUJ, Birzeit, Cambridge, CERN, Cincinnati, and Southampton. All parties believe that efforts must be made to overcome the imposed restrictions by the occupation especially against scientists and their development and interaction with the world. 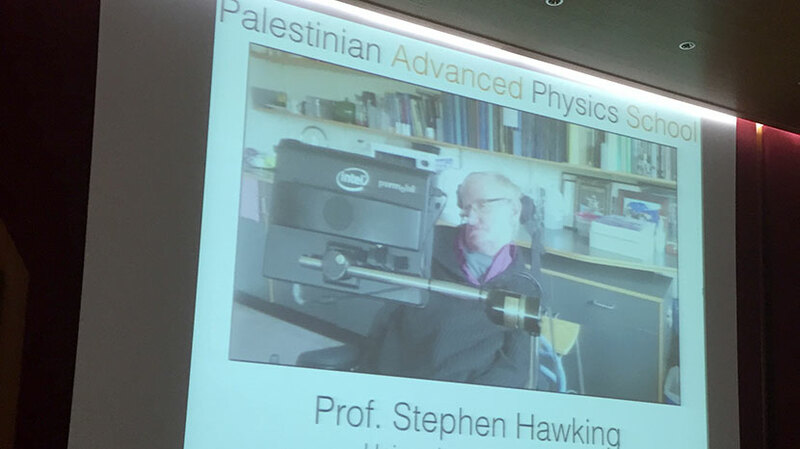 Hawking called for a fundraising initiative aimed at financing a second Palestinian Advances Physics School: “Please consider making a donation today to support science in Palestine”. The world famous British Scientist is a long-standing supporter for Palestine, young physicists and Birzeit University. Hawking visited the University in 2006 and lectured hundreds of faculty members and guests, and thousands of students, and joined the academic boycott of Israel. In turn, Birzeit University has always encouraged academic research and innovative projects in scientific disciplines. The Science Faculty is comprised of four departments: Physics, Chemistry, Mathematics, Biology and Biochemistry, and offers undergraduate and graduate programs for their students.